While the word “Israel” stereotypically conjures thoughts of hummus, the Dead Sea, or war, many of us know that Israel is a far deeper and diverse place. Contrary to what you may see on the news, Arabs live alongside Jews, Christians, Druze, and more. Russian is spoken in the streets, and while Black Jews may be at a seeming minimum in the US, many Ethiopian Jews are an integral part of Israeli society. What better way to share this diversity with a Boston audience? 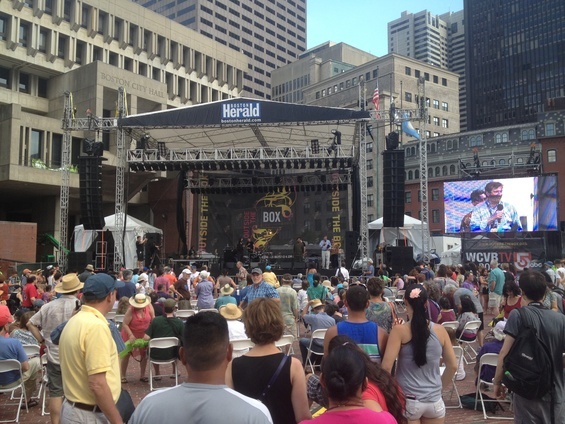 This past weekend, the New Center, The Boston Jewish Music Festival, and the Israeli Consulate worked together to bring just this sensibility to the city as partners in the inaugural Outside the Box Festival. Performances by the Guy Mendilow Ensemble and Shye Ben Tzur and the Rajasthan Gypsies let the city hear how outside the box Israel truly is. 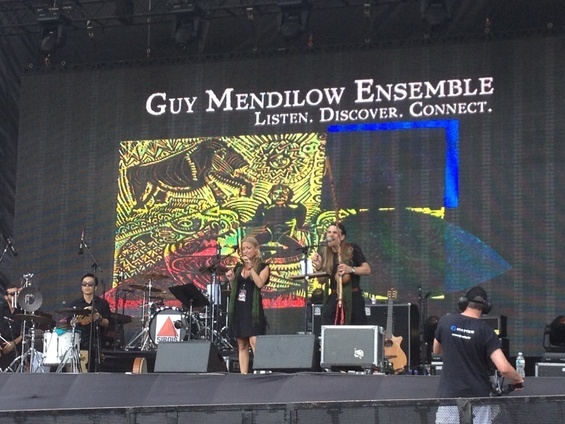 Guy Mendilow Ensemble project Tales From the Forgotten Kingdom: Ladino Songs Renewed tells the story of the Sephardic people, an often forgotten tradition in a heavily Ashkenazi culture. Guy beatifies an ancient Jewish tradition through a global lens with an ensemble of talented world musicians, including Japanese and Palestinian drum players. While Guy mixes Spanish and Hebrew, Shye Ben Tzur blends Hebrew and Qawwali music in unexpected ways. With Indian masters of traditional chants and more upbeat Hebrew blends, Shye Ben Tzur and the Rajasthan Gypsies have the power to make a crowd dance and reflect. These glimpses into the diversity of Israeli culture educated the Boston audience, and made for a great summer weekend as part of the Outside the Box Festival. Play Me, I’m Yours: Sterling Hits Washington Square! It's techno, it's klezmer, it's Mazal. Making their American debut this Thursday at the Arts & Culture Open House night at the Boston Jewish Music Festival, the group will be joined by equally intriguing Stereo Sinai. Tix are $15 in advance, $20 at the door, so get yours HERE now! Nate Silver and Bill Schneider: Counting on the Jewish Voter?